Colorado tenants have the right to file a complaint against their landlord if the rental property is not being maintained according to the health and safety codes of landlord tenant law. The landlord may become aggravated by these complaints and may choose to retaliate against the tenant. Learn how Colorado law protects tenants against a landlord’s revenge. What Is a Warranty of Habitability? In Colorado, rental property must meet certain standards. By signing a lease with a tenant, a landlord is confirming that the property is in a safe and habitable condition. A unit meets the warranty of habitability if it is free from dangers or hazards to the tenant’s life, health or safety. In most cases, a tenant cannot claim a breach of a warranty of habitability for a common area. The exception to this would be if the condition of the common area significantly limits the tenant’s ability to use his or her unit. The Merriam-Webster dictionary defines retaliation as getting revenge against someone who has wronged you. There are times that a landlord may try to retaliate against a tenant in an attempt to make the tenant’s life more difficult or to get the tenant to move from the property. Under Colorado state law, acts of retaliation are illegal. Certain states will place a time limit on when a landlord’s action can be considered an act of retaliation. 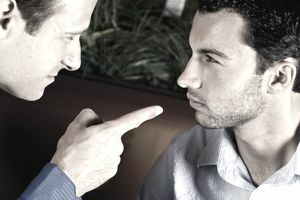 For example, in California, if a landlord commits an action that could be considered retaliation within 180 days of the tenant filing a complaint against the landlord, or taking some other legal action, the landlord’s action is automatically considered an act of retaliation unless he or she can prove otherwise. Colorado’s rules actually favor the landlord, not the tenant. If a landlord commits an action that is within his or her legal right, such as raising rent or filing for an eviction, it will not be considered retaliation simply because it occurred shortly after a tenant’s complaint occurred. It will be presumed that the landlord acted within his or her legal right and will therefore be on the tenant to show that the act was actually an act of retaliation. The tenant must first provide proof for their complaint that their unit is not meeting the warranty of habitability. Once the tenant’s complaint is found to have merit, then the court can move on to determine if a landlord’s action was truly an act of retaliation. Once a landlord has been deemed to have violated the warranty of habitability, the court will look at the landlord’s action to determine if it truly was an act of retaliation. For actions such as increasing rent or terminating a lease because of lease violations, it will be presumed that the landlord acted in good faith, unless the tenant can prove otherwise. If you would like to view the original text on Colorado’s Statute about landlord retaliation, please consult Colorado Revised Statutes §38-12-503 and §38-12-509.